Back-to-school is here... can you believe it?! 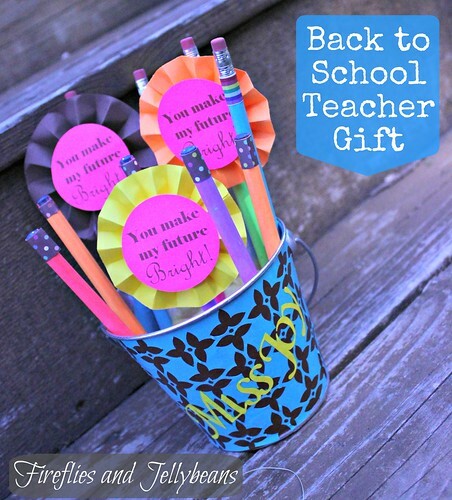 I bet most of you moms are ready for school, but if you are a teacher you want to relish in the last days of summer! 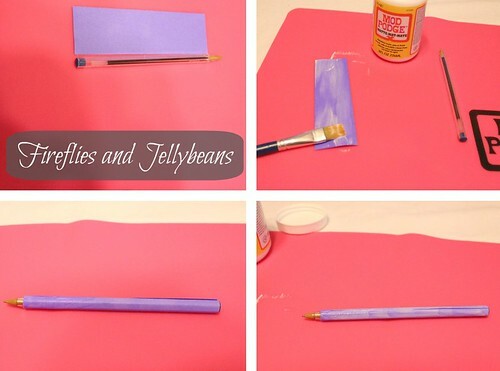 You cut a piece of paper that is 5"X1.5"
Roll the paper on to the pen. Cover again with Mod Podge and let dry. Optional- add some cute washi tape for decoration! 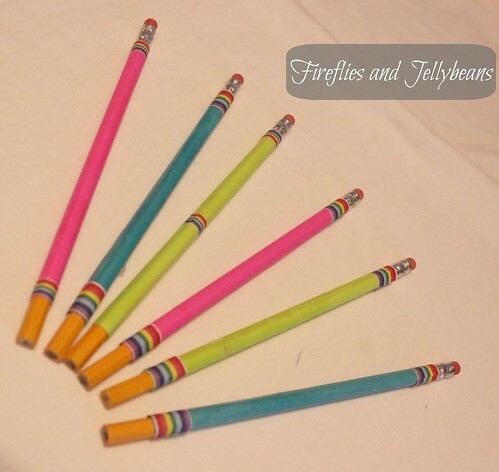 You can create the pencils the same way, but use a 6.5"X 2" piece of paper. 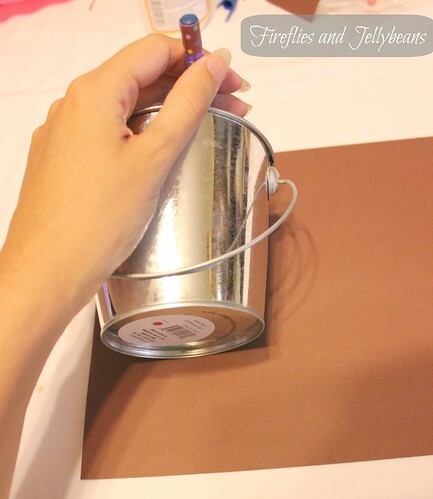 "trace" your bucket by rolling it on your paper. Here is the shape I came up with. I only covered the front of my bucket. 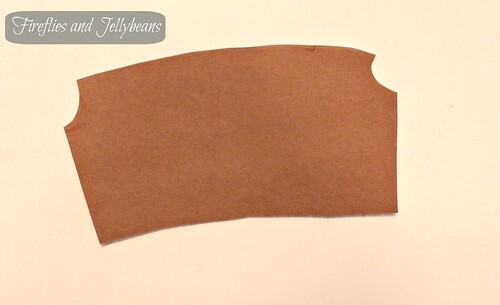 I used my front paper as a template on the background shape to cut it the right size. I also cut out the teacher's name (using my silhouette). I used Mod Podge to attach it to the front. Accordion fold your strip of paper all the way across the strip. 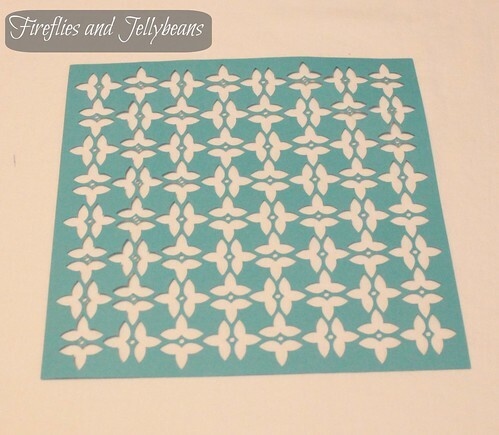 Push the middle down to create the flower. 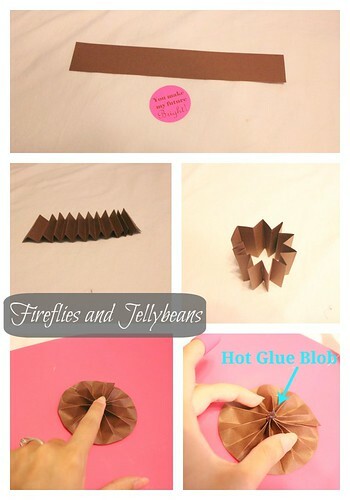 Use a blob of hot glue in the middle of the flower to get it to stay. 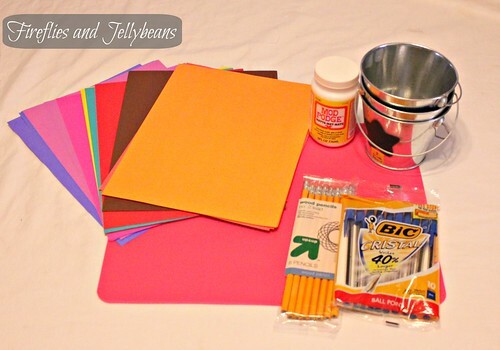 Glue on your circle to the front of the flower. 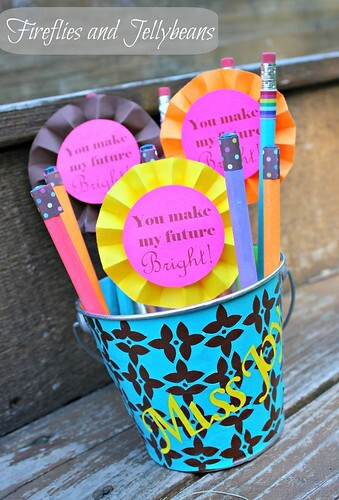 Add to your bucket to make a super cute teacher gift!! 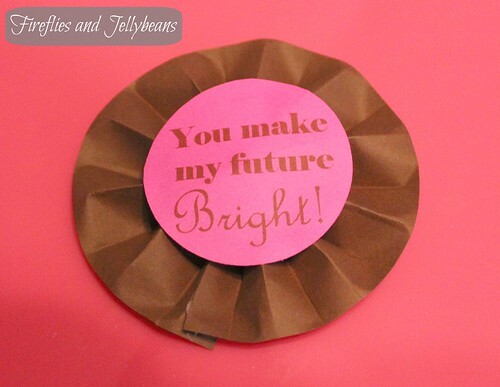 What will YOU create with AstroBright Papers? 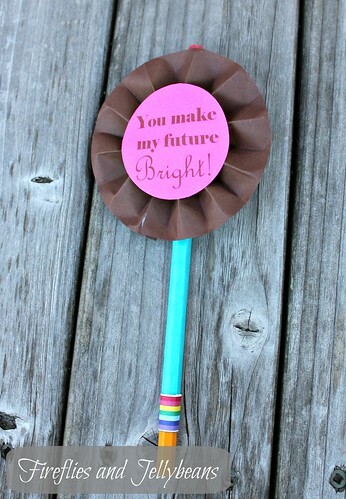 Be sure to enter The GIVE a BRIGHTER YEAR sweepstakes! You could win $30,000 worth of supples for the school of your choice! 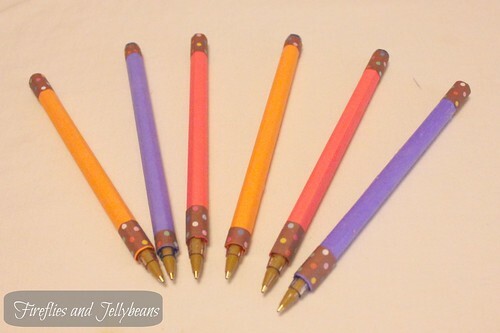 Just hop on over to the AstroBrights papers facebook page and "like" it for your chance to enter! You can also enter their "Make Something AstroBright" Design challenge. Submit your AstroBright ideas for your chance to win! I love this!!! 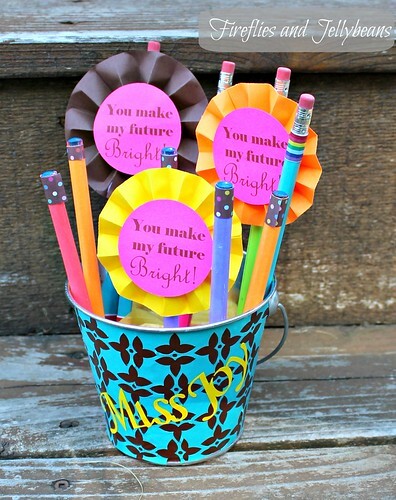 What a great way to dress up a pail and pencils! This is great! 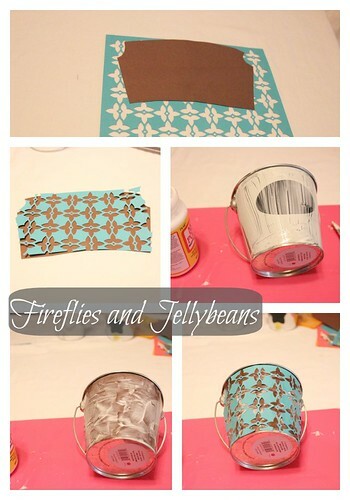 I love the way you layered the two papers on the bucket! Very cute! Love the way the colors POP!